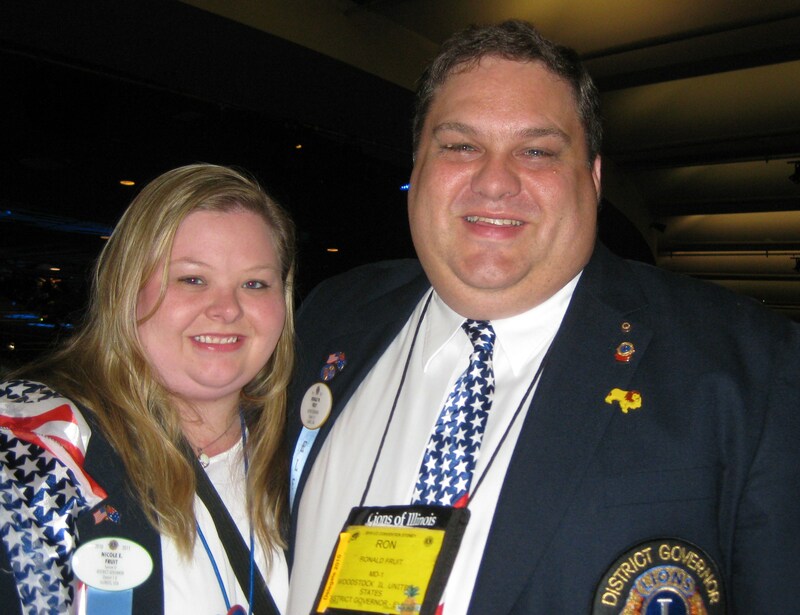 As of July 1, 2010, my husband, Lion Ronald Fruit, became MD 1-D’s District Governor, which also made me his partner in service. Everyone has been telling me to save pictures and create a scrapbook of his year as DG, but I’ve decided that writing a blog about it is more my cup of tea. I love to write, and I hope writing this blog will allow other people to learn what it is like to be a Lion and to volunteer one’s time to service. His passion started at a young age when he helped his grandparents serve meals at the Camp Lions for the blind and continued throughout his many years of service by a variety of other service projects. However, his passion for Lionism became infectious. In 2005, here I was a high school English teacher who had no idea what doors were about to open for me the day I met Ron. Even on our first date, he spoke passionately about the Lions Club, a club I knew nothing about before I met him. I was so taken by his belief that being a Lion really helps make a difference in people’s lives. The power of his conviction spoke to my fundamental reason why I became a teacher. I wanted to help people, but I was losing that feeling of accomplishment every day. Ron awakened a sleeping Lion that day. Lionism is a pivotal part of Ron’s life, so I knew the day I married him that the Lion’s Club was going to affect my life. I just didn’t know how much I enveloped into the passion of Lionism on that fateful day. Now, I stand beside Ron as a Lion. I have so many new ideas for our district that sometimes Ron has to tell me to slow down. This blog idea was one of them. So, let your passion lead you into new heights and help your fellow man by doing a good deed or by volunteering your time to a service project. Join the Lion’s Club if you haven’t already to become a “beacon of hope,” a light to combat darkness in someone else’s life. Please comment as to how passion for service has affected you. I have four posts now, but if you want to wait longer for adding me to the Blogroll, I’ll understand.